Stephanie has been in the music business for nearly two decades, starting out in radio promotion and marketing with major labels like RCA, Wind-Up, Epic, Columbia, Sony Nashville, etc. under the BMG and Sony Music umbrellas. She later traveled the country producing national branded tours working with artists like Mix Master Mike (Beastie Boys), Phoenix, and Kings of Leon, and was also a Production Manager for a concert production company servicing clients including Eric Church, Cameo, Rick Ross, Lady Antebellum, Jake Owen, and others. Stephanie is the co-founder of Tri State Indie in Philadelphia – a concert production management, PR and web design firm. She’s created music marketing activations for clients like Live Nation, vitaminwater, Pabst Blue Ribbon, Chevy, and Hard Rock, and has managed teams in video and press coverage of major events like: Austin City Limits, FireFly Music Festival, Lollapalooza, and SXSW. In 2014 Stephanie was elected as Advisor to the Recording Academy Philadelphia Chapter, and in 2015 she was elected as the chapter’s Secretary. 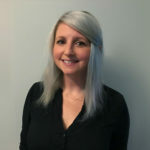 In 2015 she was hired as Director of Promotion for Nine North Records to manage the Northeast and Midwest regions, and also joined the team at Crank Media Intelligence – a new entertainment industry network for promotion, distribution and touring combining insights and metrics from radio, digital, TV and OTT. Stephanie is currently an elected member to the City of Philadelphia’s Music Industry Task Force, and an elected Governor to the board of the Recording Academy’s Philly Chapter.